These gummies aren't a typical Dirty Hippie Snack because they make no claims about being healthy or any such thing. It's just a stoner snack. It contains red 40, corn syrup, and pretty much everything else typical Dirty Hippies hate. 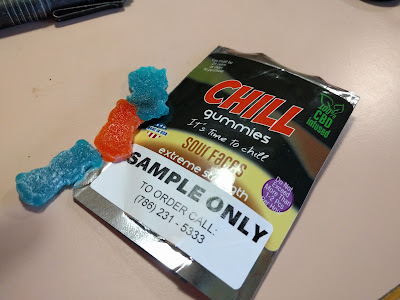 My wife's store won't carry marijuana-related edibles to begin with (these are indeed legal), but even if they did, the total lack of health-anything in it means you'll never see it in her store. But not all stoners are hippies, and stoners will consume anything that even looks like a pot leaf. I looked up CBD (which this thing is "100% infused" with, though it's not clear what the 100% refers to). That's cannabidiol, which Wikipedia says no psychoactive effects. Bacon jerky. I know, right? How did this not enter my face before? Before the hipsters got a hold of it and fused it with hipster ketchup, anyway. 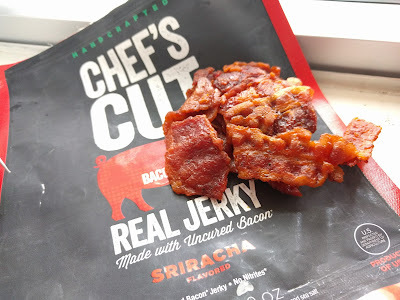 This bacon jerky isn't tough and chewy like you expect from a beef jerky, or crispy like you might expect from bacon. It's soft, kinda like really wide noodles, but with more chew than pasta al dente. The flavor coating is candy-like in its crystalline sweetness, but the sriracha spice kicks you quickly afterward. The pieces clump together into one big piece. It's not hard to separate, but again, it's not like beef jerky. It's good. It's tasty. But I think I'd prefer a flavor that lets the pork stand out on its own. 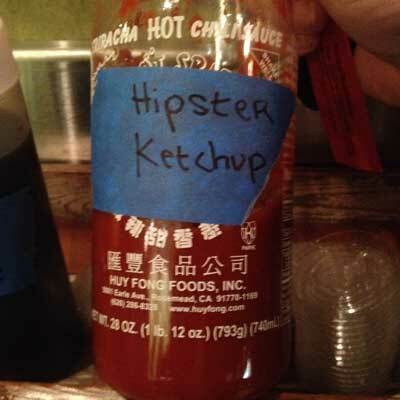 The sriracha spice is strong. Deja Poop Score: 6/10. The pig of fire actually smells exactly the same coming out. Here's a series of rabbit turds I can't make my mind up about. The barbeque fava crisps are my favorite, with the crunchiest and most satisfying texture and least-dog-food-like flavor (ask me how I know). All of these have that same undertone, though the fava BBQ masks it the best. 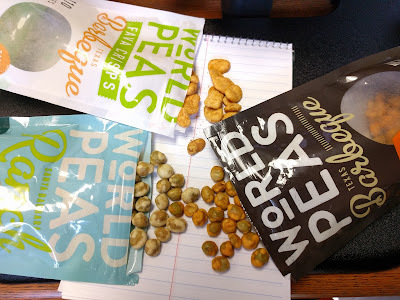 The peas turn into a fine sand after chewing it a while, and that texture lingers in your mouth. As the flavor layer dissolves into your saliva, the pea-sand remains, which is how that dog food flavor rises to the surface. Disregarding that, I think the ranch is my favorite for initial flavor. 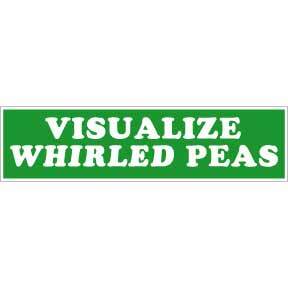 Fun fact: When I was a kid, I lived around the corner from someone with a "Visualize Whirled Peas" bumper sticker on their car. I never met the owner, but I saw it every time I walked to school. I remember reading it a few times until I finally said it out loud and understood. I'm not sure if I loved puns before then, but it was definitely a satisfying moment when I got the joke.